Similar to what we put in our stomachs, what we do before eat impacts our health just as much. Believe it or not, you can put yourself in serious peril by not eating enough while performing everyday activities. 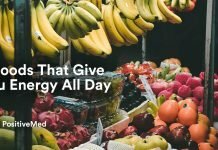 Below, are the top nine things you shouldn’t do on an empty stomach that can endanger your overall health, wallet, and livelihood. You should never go shopping on an empty stomach, you’ll only spend your money on unhealthy food that won’t benefit your health. 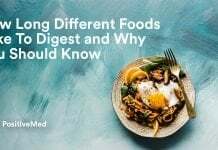 In fact, according to researchers, your “I want food” message and “I want” message sometimes gets confused when you’re shopping and hungry at the same time, which leads to you purchasing things you simply don’t need. Instead, before you go shopping prepare a list on what you need to get to avoid yourself getting sidetracked. Additionally, you should only use cash so you’re limited to a set amount, rather than using a debit or credit card. Feeling hungry at night and low glucose can prevent you from getting a good night’s sleep and waking up earlier than you want. 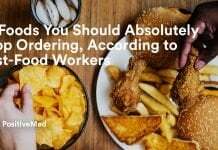 Additionally, the reason our hunger hormone level increase is due to poor sleeping habits. This is why you would want to eat more in the morning after sleeping badly. However, binge eating after a bad night of sleep is never a good idea. Instead, you should try consuming dairy, such as milk, before bed since it contains high amounts of calcium and magnesium, which can help you get a better night’s sleep. Drinking coffee after skipping a meal can lead to a serotonin deficiency, which can cause you to feel bad all day long. Even drinking decaffeinated coffee can cause severe heartburn and a variety of digestive tract issues that can leave you feeling unsettled. Instead, you should try drinking coffee with cream or milk, since milk fat can help reduce the bad side effects of the drink on an empty stomach. However, perhaps you should just opt in for water instead? Don’t believe the myth that workout out before you eat can burn more calories, it won’t. Not only will you not gain muscle mass, but your workout intensity will be low since your body doesn’t have the necessary energy it needs to exercise. Instead, you should switch your heavy workout with an aerobic exercise. However, all in all, you should just keep eating, while giving yourself plenty of time in between working out. Never have an argument on an empty stomach. Hunger makes us less calm because your body needs the energy to remain in control. 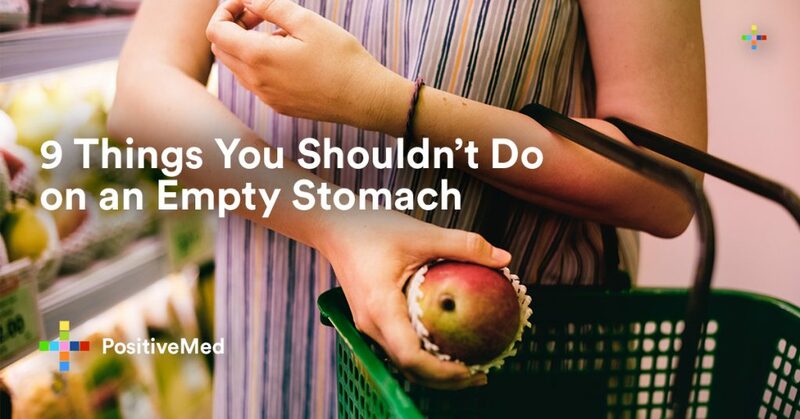 However, when your belly is empty, you have less energy than you need. Before heading into a discussion, eat something or drink a warm beverage. When you chew gum, your body produces digestive acid. Unfortunately, when there is nothing to digest in your stomach, this acid can harm your stomach lining and lead to gastritis. If you do enjoy chewing gum, choose varieties that contain natural sweeteners. Avoid gums with sugar, aspartame, or cyclamate and do not chew your gum for longer than 10 minutes. Refrain from taking aspirin, paracetamol, and other NSAIDs when your stomach is empty. Doing this can make them less effective. It can also lead to more severe health issues like gastric bleeding. Always eat before taking medication and wash down the anti-inflammatory with water or milk. Think twice before drinking a glass of lemonade, orange juice, or limeade on an empty stomach. The tough fibers and excessive amount of acid can be irritating for your tummy. If you have gastritis, this is especially not recommended. Consider diluting your juice with water if you are prone to intestinal problems. When you do not eat before drinking alcohol, your body absorbs the alcohol two times faster. Additionally, it takes longer for your body to break down the alcohol, which means a greater risk of developing a hangover. As is common knowledge, alcohol also has a negative effect on your liver, kidneys, and heart. Before you head out the bar, eat a sandwich or a small snack. Also, if you haven’t had a chance to eat before drinking, consider choosing soda or water instead of an alcoholic beverage. Don’t assume that you can perform daily activities, from working out to shopping, on an empty stomach. 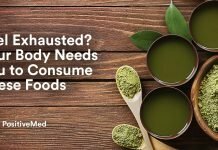 It can cause a toll on your bodily functions and generally leave you with less energy. Hopefully, with the help of this article, you’ll think twice the next time you think about skipping a meal.